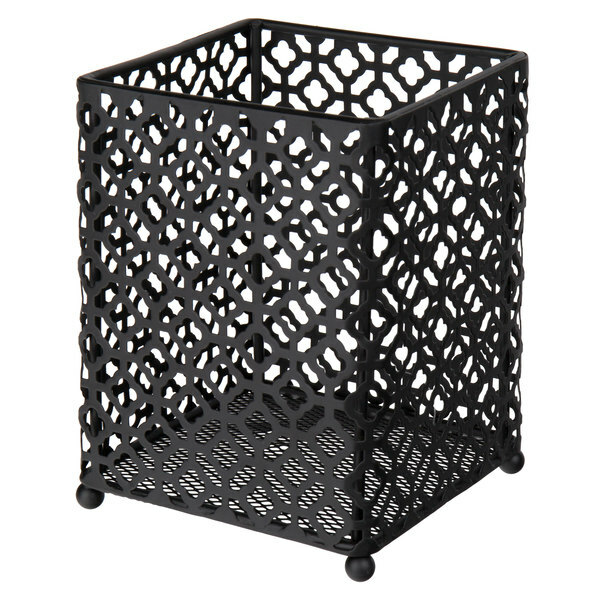 Keep your utensils in one place with this Tablecraft HU45BK farmhouse black powder coated metal utensil holder. 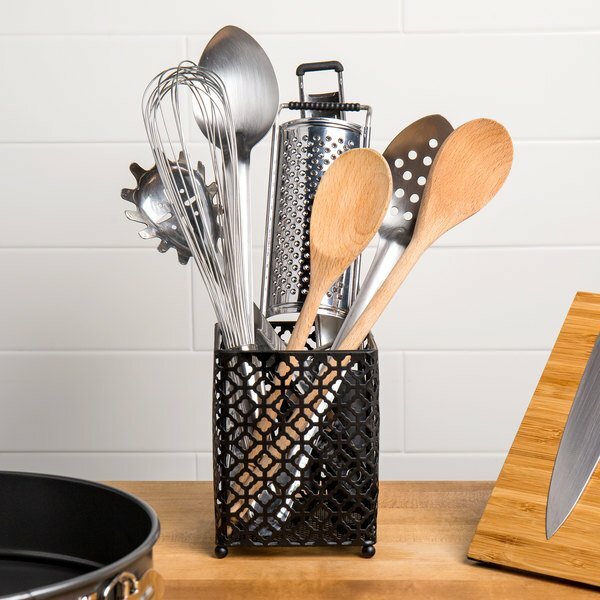 Perfect for holding spatulas, spoons, whisks, and tongs this holder keeps all of your utensils within reach, conveniently located, and organized in one place. Thanks to the durable black powder coated metal construction with a brushed finish, you won't have to worry about this holder getting scratched or dented. It can withstand the rigor of fast-paced kitchen and front-of-house cooking environments. You can easily store a large amount of utensils thanks to the 4 1/2" x 4 1/2" x 5 7/8" size. Use it on your buffet line as well to store large amounts of forks, spoons, or knives. This utensil holder features an attractive and elegant design which adds style to your cooking and baking area. 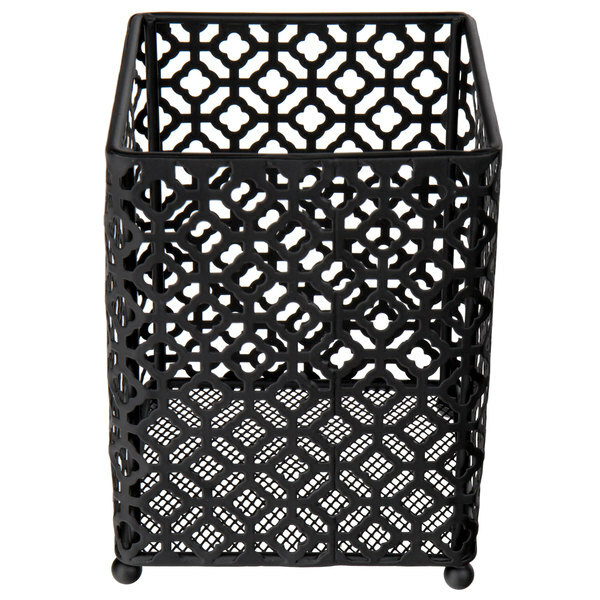 Add this utensil holder to your kitchen for all of your utensil organization needs!